ℹ Dieser Shop liefert nicht nach Deutschland. 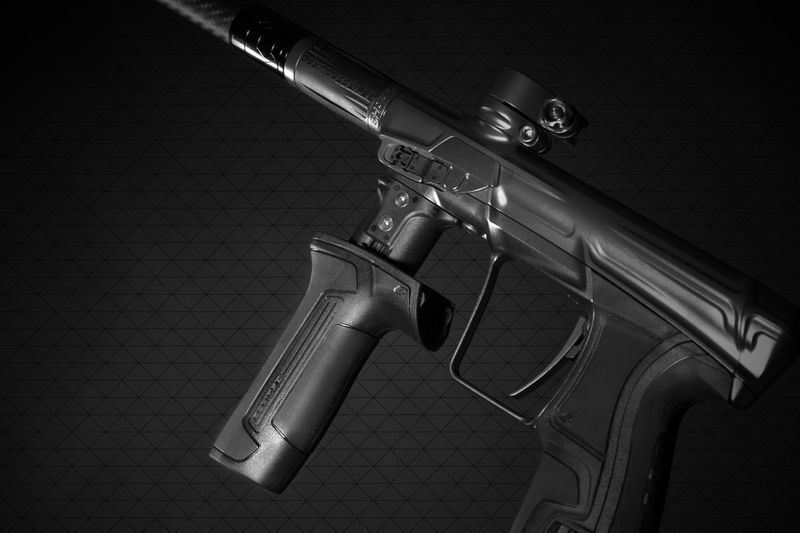 Du kannst Paintball Markierer in unserem deutschen Shop bestellen. The CS2 finally escaped Planet Eclipses Tech-Labs with just one goal: grabbing itself the next World Cup. 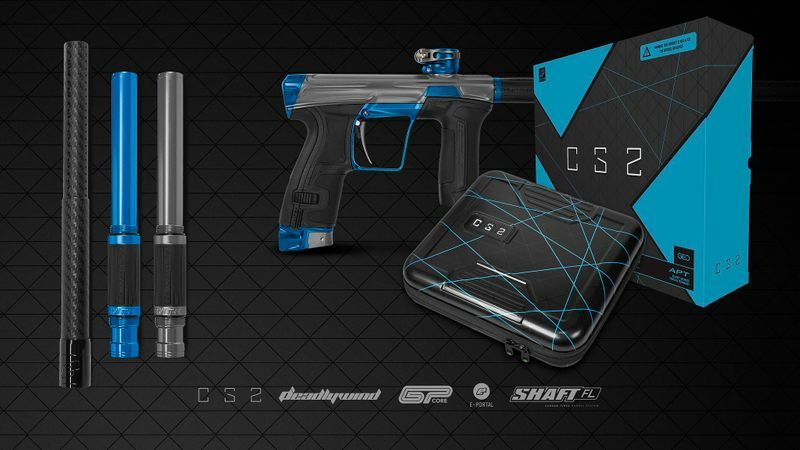 The CS2 is a complete new rework of the CS platform and is packed with awesome features. Due to streamlined milling and super lightweight Shaft FL Carbon Barrel-System, it weighs in at only 868 gram with batteries already installed! The even more ergonomically front grip, much thinner and tool less grips leads to a whole new level of comfort. 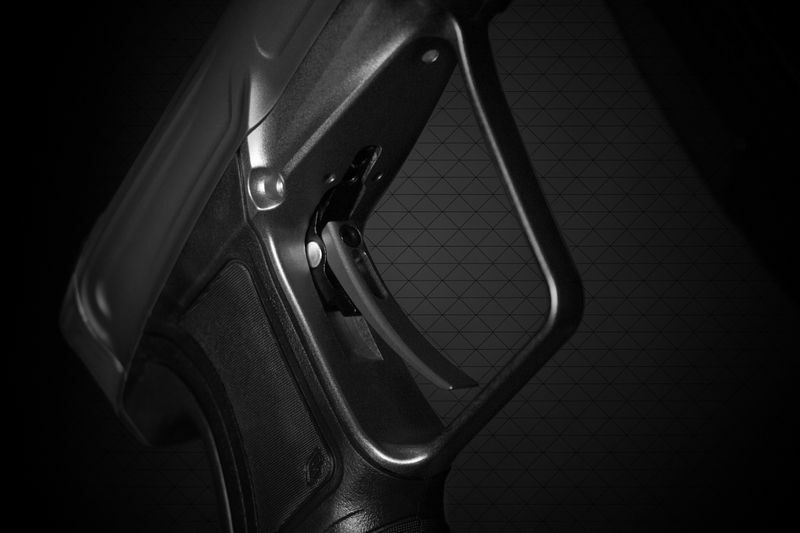 The frame also has been re-designed with the gas transfer no longer travelling through the trigger guard. If you love the handling of the GEO 3.X, you will adore the CS2. On the inside, the new Gamma Pro Core purrs like a kitten. The air-efficiency was raised even above the fantastic CS1.X and the new working pressure of 105 psi leads to the smoothest shot you can imagine. The newly designed trigger assembly allows you to tip and tilt the angle (Rake) of the trigger more than ever before as well as now being able to remove the trigger every easily without removing the frame. Aside from the factory default, no two CS2 triggers will be the same. Just tweak it till it’s your personal trigger. There are much more little things to discover, which make the CS2 to the CS you always dreamt of. Just look for yourself, and make it yours! - One Shaft FL Carbon Tip 14,5"